This CD is pretty unique in that there are no acoustic instruments on it at all. The group or person hails from Seattle and there was no information about who is in the project. The CD starts with some strange electronic music with minimal beats. "Message From The Man", is a spoken word piece that leads into the first vocal piece. This is for sure influenced by bands like Devo and Gary Numan from the 80's. All of the vocals are highly processed and the lyrics quite critical of American culture, 21st century capatalism, and the digital revolution. "The Assassinator" is the only track on this CD that I would consider techno. This is quite a strange musical project and you will find it difficult to compare to much of anything. Quite an interesting listen. 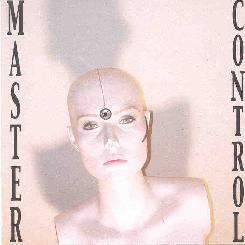 For more information you can email Master Control at: mastercontrol@attbi.com. Visit the High Speed Athena Records web site at: http://www.hsarecords.com/.